Product contains milk. Produced in a facility that also processes soy, wheat, egg, peanuts, and tree nuts (pecans, almonds, coconut, cashews, walnut). 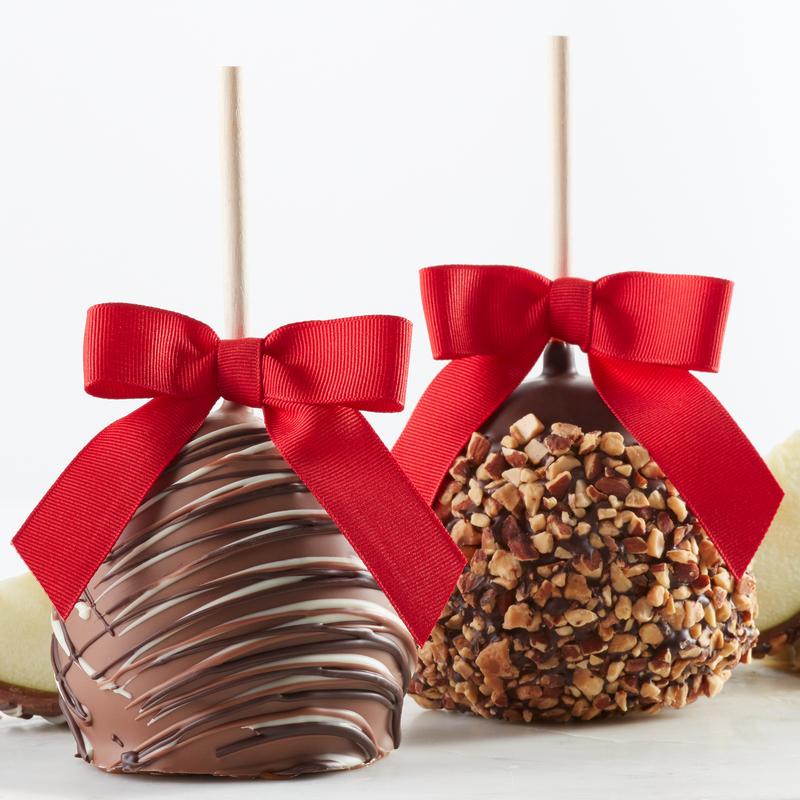 For any celebration, you can't go wrong with chocolate caramel apples. These are a classic favorite that will melt in your mouth with one bite. Crisp apples are dipped in delicious caramel, then coated generously in Belgian chocolate and decorated with chocolate drizzle. This gift comes with one each of dark and milk chocolate. Slice them up and serve to guests or enjoy them whole.